The beer’s label is regally black with the funky highlights of red and gold, which I very much enjoy. I love the classy, old-farm look that the main graphic for this beer is giving me. The tree with red leaves on a golden background is beautiful, and I love the laurels and the barrel at the bottom. The font is a little bland, unfortunately, but that does allow the eye to linger on the graphic even though it is a little small. There is ittle to no clutter on this bottle, and its elegance will make it a lovely addition to a collector’s shelf. 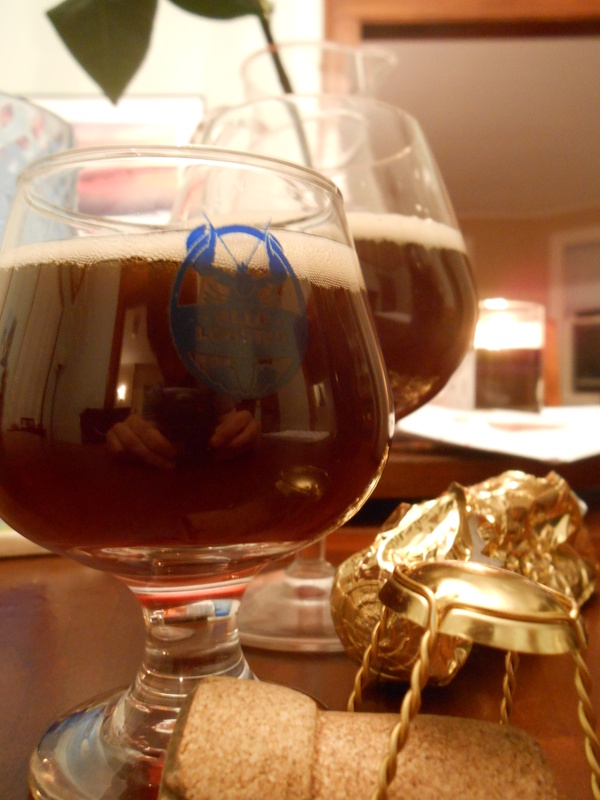 The beer pours a deep and malty ruby-brown with a small, 1/4th of a finger’s head of creamy, fine, sand colored bubbles. The head doesn’t last long but does leave a nice ring and a lacing of thin, small bubbles in patches across the glass. Some legs can also be noted as the beer moves up the side of the glass. In body, the beer is nearly opaque in darkness, but clean of particles and very clear in the light with just a malt haze blurring the other side of the glass. On the nose, the beer smells cider-like and vinous with syrupy malts and caramel dancing beneath the initial run of port on the nose. As I stick my nose in it, there is a touch of earthy peat smoke. The port wine plays over into big fruit with mild fruit esters coming through as raisins and dates. Light fusel alcohol can be barely sensed, and the port wine gives off distinct honey scents, alongside sherry-like oxidized notes. On the tongue, the beer is big and sweet, running from fruity, port-sweet to big malty sweetness. A touch of herbal bitterness enters at the middle and end of the sip, and does grow a little as the beer is sipped. The herbal bitterness is paired with a middling, oaky tannic bitterness from the barrel. Acidity is light to non-existent on the palate. 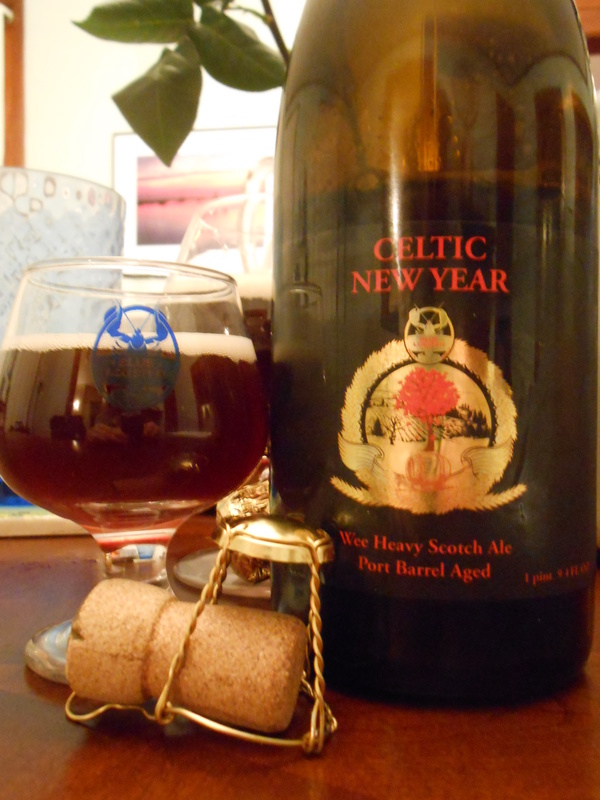 In flavor, the beer is rich with caramel malts and huge, honeyed port flavors. Rich brown sugar mixes with a bready caramel and a touch of earthy peat smoke while slight saltiness even comes into some of the sips. Sherry and cider flavors play out in the middle of the sip, moving into herbal bitters with big, bready caramel which powers into the finish that is full of oak tannins with touches of vanilla and a nuttiness from the malts. The finish lingers on the tongue, like a port wine might, sticky and honey-sweet with more touches of nuttiness. In the mouth the beer feels medium plus in body, with smooth and middling carbonation and a velvety mouthfeel that is touch chewy and syrupy. Some heat from the alcohol does touch the mouth, and the beer does hit some astringency from the tannins and bitters. At the start the beer is a touch sharp, but it does smooth out as it warms. 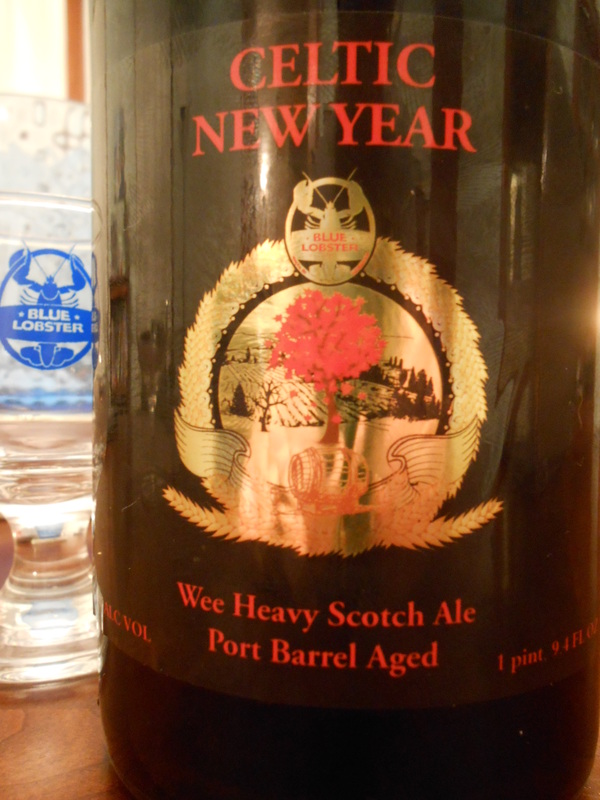 Overall, this beer is a wonderful sipper, which rich malts and a great addition from the port barrels. I do wish a little more of the original beer’s peat smoke made it through, but as is this beer is rich in port characters, which go very nicely with the beer. Great complexity, and nice balance. With age, the bitters of this beer will mellow out and it will become even richer with malts.